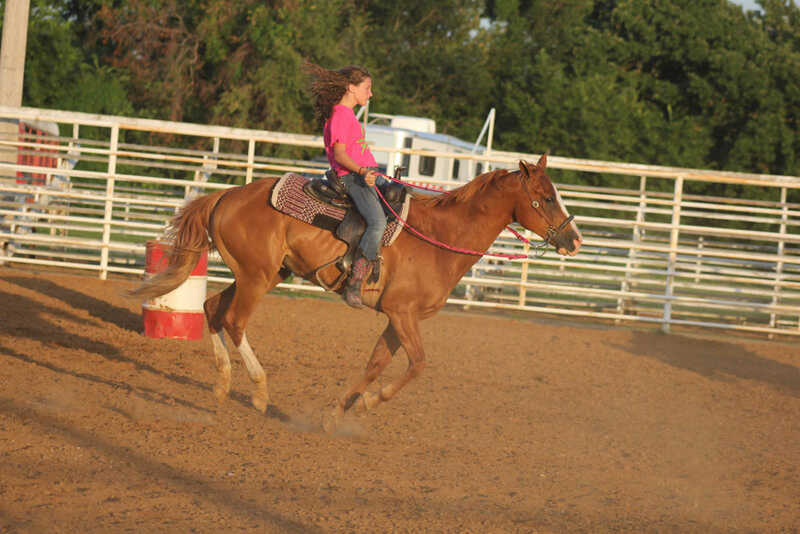 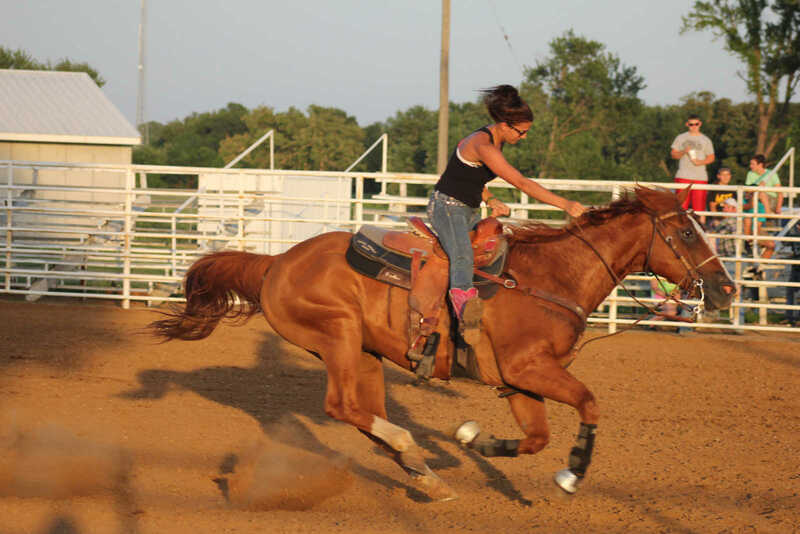 Addie Burgess approaches the finish line, taking first place, during the Boot Race at the Vernon County Fairgrounds during the Vernon County Youth Horsemanship Show-Deo, on Friday, July 11, 2014. 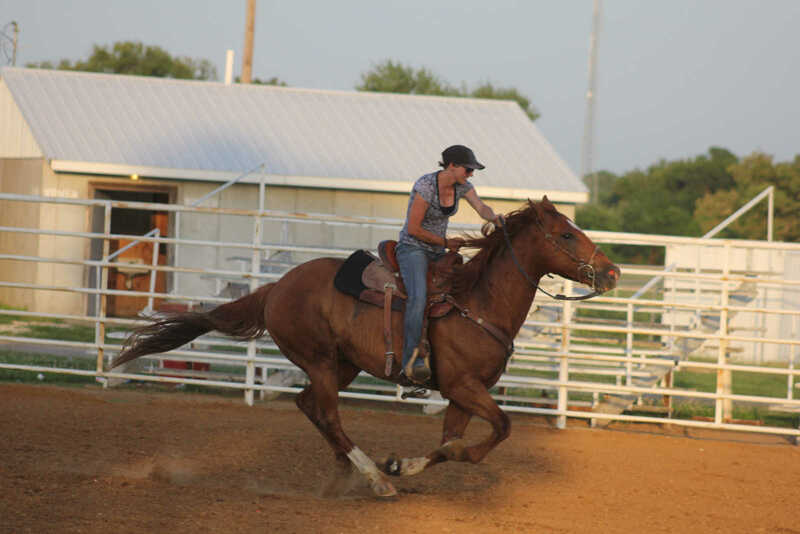 Jennifer Gundy races to the finish line during the 15 and over age group Boot Race during the Show-Deo at the Vernon County Fairgrounds on Friday, July 11, 2014. 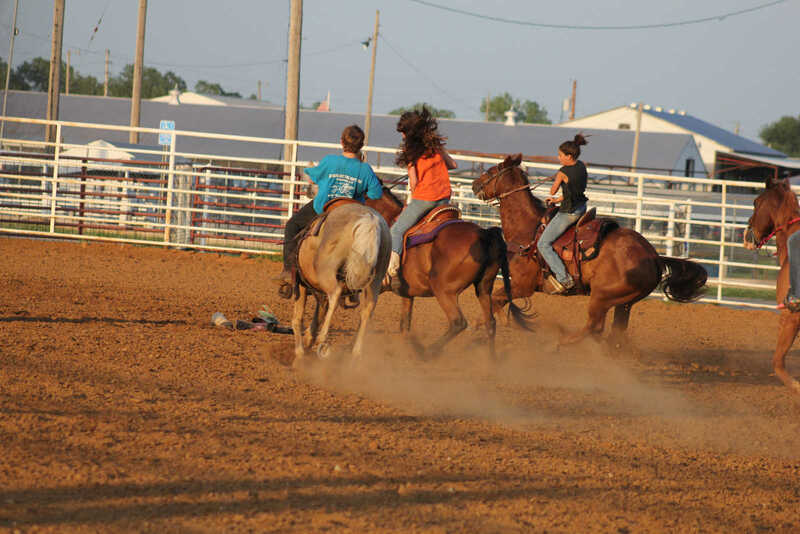 Dustin Shumake (left), Becca Raper (center), and Sammy Gundy (right) scramble to get their boots back on and race to the finish line during the Boot Race at the Show-Deo on Friday July 11 at the Vernon County Fairgrounds. 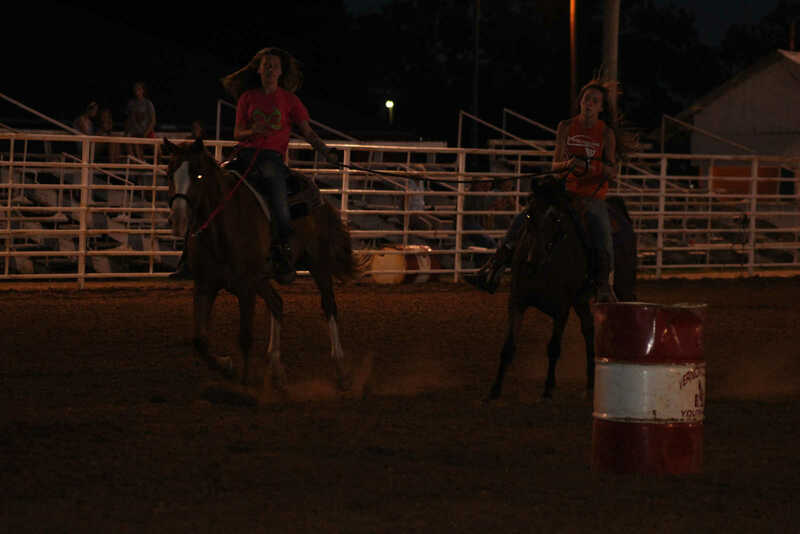 Addie Burgess and Becca Raper 'buddy race' at the Vernon County Youth Horsemanship Show-Deo on July 11.